Aim and Objectives: The aim of this study was to assess the knowledge and attitude of medical doctors towards the emergency management of dental trauma in the state of Himachal Pradesh. Materials and Methods: A cross-sectional survey in which, 500 medical doctors were randomly included in the study and the participation was voluntary. Data regarding the emergency management of avulsed tooth was collected using a self-administered questionnaire having questions which were close ended. Statistical analysis was carried out. Chi-square test was used to analyze the data gathered. Results: It was found that frequency of occurrence of soft tissue injuries of the face was 83%, laceration injuries was 79%, nasal bone fracture was 66%, intraoral soft tissue injuries of the lip was 67%, avulsion was 77%, and frequency of dental trauma of maxillary central incisor was 63%. Furthermore, the frequency of respondents having the knowledge about reimplantation was 46% and frequency of respondents having knowledge about the time of reimplantation was 60%. 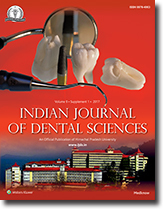 Frequency of respondents having knowledge about the preservation of tooth for reimplantation was 51%, whereas frequency of respondents having no knowledge about the preference of preservative medium was 47%. Frequency of respondents who have not seen traumatic injuries of primary teeth was 55% and the most frequently administered first aid was tetanus injection having 67%. Conclusion: The results from this study suggest that knowledge of the management of dental injuries among medical professionals/doctors was inadequate. However, appropriate training can significantly increase their knowledge. Aim and Objectives: The present study has been carried out in an attempt to study the asymmetries of lower one-third of face in terms of etiological factors involved, kind of presentation that it may have, and also to quantify the asymmetry on skeletal aspects. Along with, an attempt has been made to examine if any correlation exists between the severity of asymmetry and presenting age, age of trauma (TrAge), and lag period (LAGPrd). 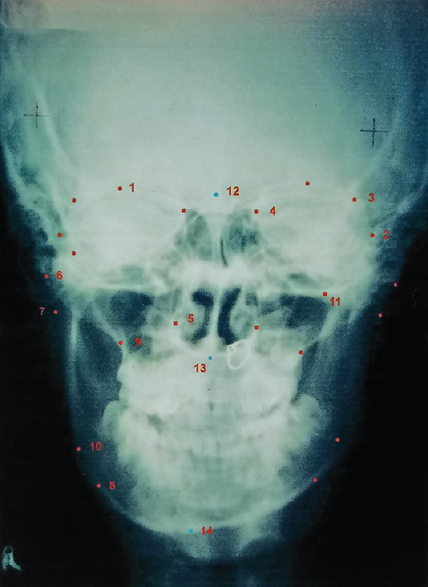 Materials and Methods: The present study was conducted on thirty patients (17 males and 13 females) reporting with a chief complaint of asymmetry at the Dental and Plastic Surgery OPD, PGIMER, Chandigarh, over a period of 2 years. A descriptive pro forma to record signi fi cant medical and dental history was filled to correlate possible etiological factors to the presenting complaint. Along with, posteroanterior cephalogram and orthopantomograms were recorded and traced with speci fi c parameters to correlate them with the present age, TrAge, and LAGPrd. Results: It was concluded that trauma was the single most important possible etiologic factor responsible for facial asymmetry. Assymetry was more apparent in lower third of the face with deviation of chin, fullness of one side and flatness of the other. OPG revealed vertical height of ramus and depth of antegonial notch are affected by trauma and deformity increases with LAGPrd increase. PA cephalogram co-related with similar findings. Conclusion: Faciomandibular asymmetry resulted due to undergrowth or overgrowth of the affected part of mandible. On OPG significant asymmetry was observed which increased with the lag period (difference between age of presenting and age of trauma). Aim and Objectives: Effective finishing and polishing of dental restorations provides for oral health, function and aesthetics. There are studies which state that porcelain should be glazed after chairside adjustments, whereas, some studies advocate that polishing is equivalent or better than glazing. The main objective of this study was to compare glazing and polishing, and also, to compare three different polishing systems available in the Indian market, namely SHOFU, DFS and DIATECH. 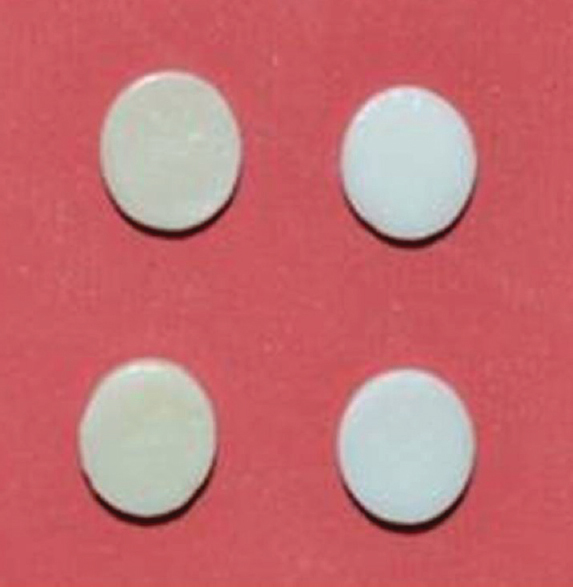 Materials and Methods: One hundred twenty six specimens of porcelain discs were prepared and divided into 3 groups with subsequent subgroups. Quantitative analysis was done using a profilometer to determine the roughness quotient (Ra value) and qualitative analysis was done using a Scanning Electron Microscope (SEM). Result: It was found out that glazing produces smoother surfaces as compared to polishing. Among the three different polishing systems used, SHOFU was found to produce the most smooth surfaces. Conclusion: The polished surface provided by the polishing kits was not comparable to the smoothness of the glazed surface and cannot substitute for glazing. Aim and Objectives: The goal of surgical-orthodontic treatment of chin deformities is to achieve maximum function, esthetics, and stability. The objective of our study is to evaluate the role of genioplasties in various chin deformities. 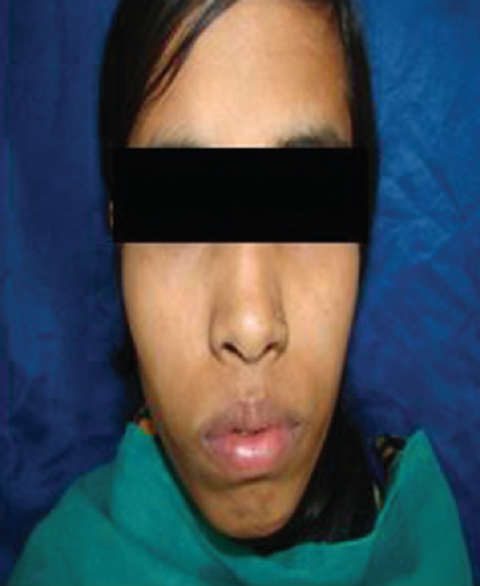 Materials and Methods: Twelve adult patients who manifested various types of chin deformities were treated. 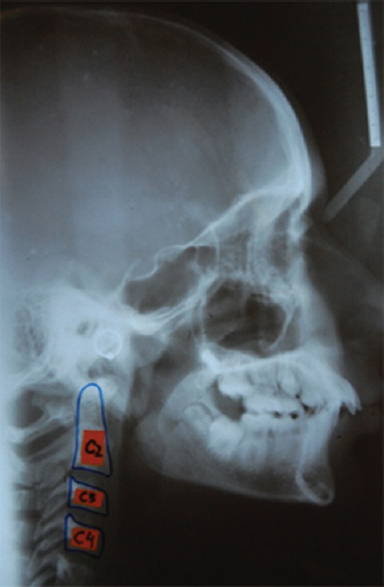 In eight patients, advanced genioplasty alone or in combination with other surgical procedures such as premaxillary osteotomy, gap arthroplasty, bilateral vertical ramus osteotomy, and advancing and sliding genioplasty was performed. Four patients were treated by reduction genioplasty alone or in combination with vertical ramus osteotomy. Results: Results were more predictable and stable in case of chin advancement procedures as compared to reduction genioplasty. Conclusion: It was observed that the chin should not be completely denuded, muscular attachment on the lower part of the chin should always be maintained, if possible. 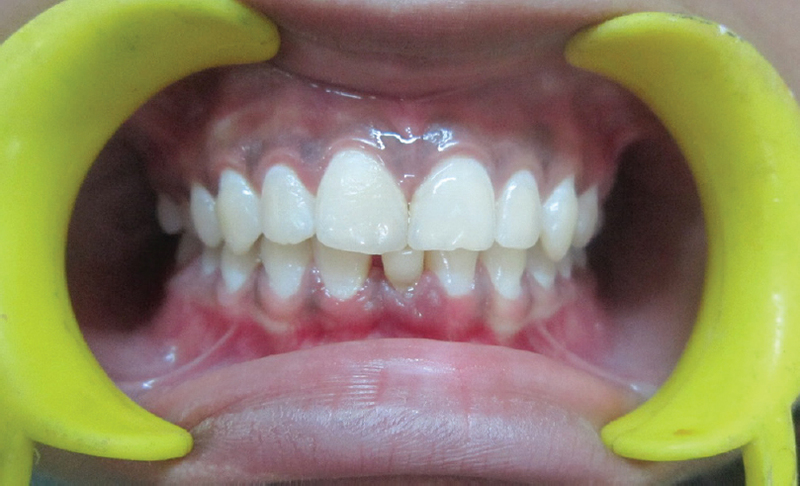 This is case report of 20-year-old female who was surgically treated with anterior maxillary osteotomy (AMO) in maxilla and anterior sub apical osteotomy in mandible. AMO was done with Cupar technique in which a palatal tear occurred intraoperatively. The palatal tear was managed conservatively maintaining the blood supply to osteotomized segment by Coe pack application & later on splint fabrication and antiobiotics and decongestants. Other choices like a buccal fat pad or a tongue flap can be used if fistula or tear is large. Labiogingival groove is a congenital morphologic dental anomaly, in which an infolding of the inner enamel epithelium and Hertwig's epithelial root sheath create a groove extending varying depth into root. Epithelial attachment can be breached by gingival irritation secondary to plaque accumulation creating a periodontal defect that spreads to the pulp causing primary periodontal/secondary endodontic. 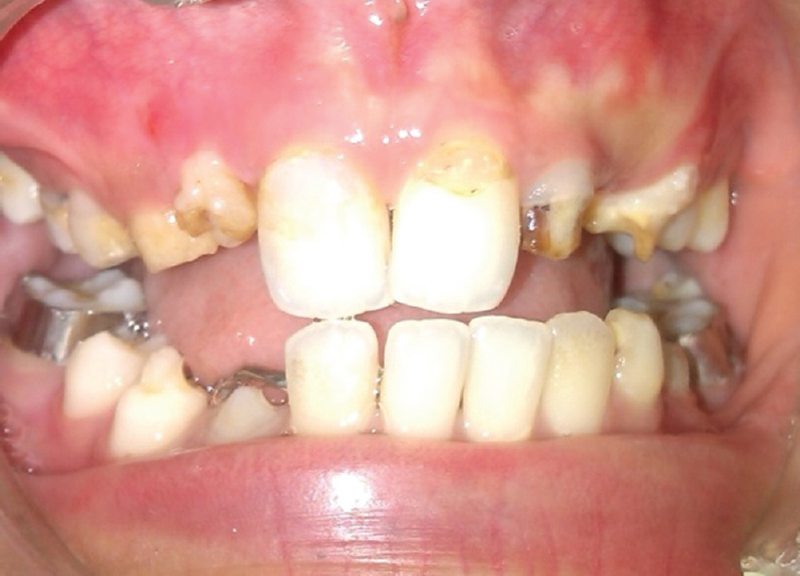 A 12-year-old boy reported with the complaint of painful tooth with pus discharge from labial gingival surface in the maxillary right lateral incisor for 4 months. Intraoral examination revealed bluish red gingiva with loss of contour in relation to maxillary right lateral incisor and purulent discharge in relation to it. A provisional diagnosis of localized gingival abscess in relation to maxillary right incisor (primary periodontic and secondary endodontic involvement) was given, and required treatment was carried out. On exposure of the involved tooth, a labiogingival groove was noticed which could have been a contributing factor for the progression of the condition. Although dental implantology had evolved over a number of years, many dental surgeons are unaware of the concept of immediate loading with the use of one-piece implant that began in the early 1960s. The goal of successful prosthodontics rehabilitation is to provide function, esthetics, and comfort to the patient. The aim of this literature is to provide an overview of one-piece implant, with its advantages and disadvantages over conventional two-piece implant. Immediate prosthetic of a one-piece system allows for a better tissue healing and better adhesion of gingival mucosa to form a collar which is healthy and adherent to the implant, avoiding a second surgical procedure, and also includes a very important aspect esthetics. This article describes a case report of immediate loading with single-piece implant following extraction. Perioceutics or use of the pharmacological agents specifically developed to manage periodontitis is an interesting and emerging aids in the development of periodontal disease along with the mechanical debridement. The purpose of host modulatory agent which is a imperative part of perioceutic, is to restore balance between, on the one hand, pro inflammatory mediators and destructive enzymes, and on the other hand, anti-inflammatory mediators and enzyme. Host modulatory therapy (HMT) is a treatment concept that aims to reduce tissue destruction and stabilize or even regenerate the periodontium by modifying or down regulating destructive aspects of the host response and up regulating protective or regenerative responses. This paper review the Host Modulatory Therapy which in future will be the effective tool dental practitioners when used as adjunct to mechanical therapy in treating periodontal diseases.